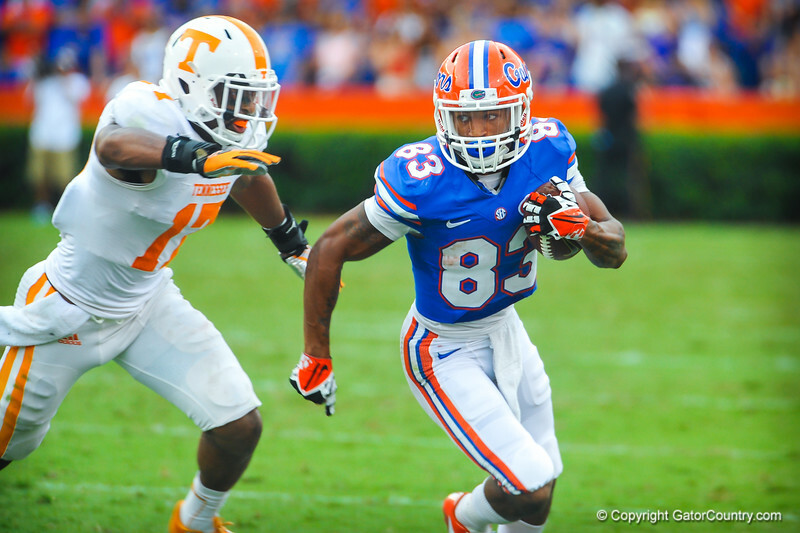 WR Solomon Patton catches the ball and runs upfield for a gator first down. Gators vs Tennessee Volunteers. September 21, 2013.